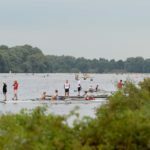 The World Rowing Federation (FISA) is updating their emailing database in compliance with the European Union General Data Protection Regulation (GDPR). This means that if you want to continue receiving either the eNewsletter, media release or media advisory from World Rowing, they need your consent otherwise you will no longer receive the newsletter or media releases. 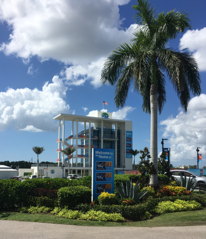 There are only three words to describe the 2018 World Masters Rowing Champs in Sarasota, Florida, USA: HOT – HOT – HOT! The Florida weatherman could give us no respite from the 35°C temps, on average, for the entire week. We were thankful, however, as there were no threats from any hurricanes moving in from the Atlantic Ocean. What was most amusing, yet very serious, was that our safety briefings included ‘alligator awareness safety’ on a daily basis! Spectacular thunderstorms would build each late afternoon/evening providing a lightning display to rival anything that we had ever seen before. 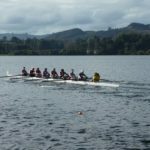 The Sarasota 2018 World Masters Rowing Championships were not as well attended as those in 2017 in Bled, Slovenia, but the calibre was just as good, i.e. we saw lots of very, very FAST times on the water. 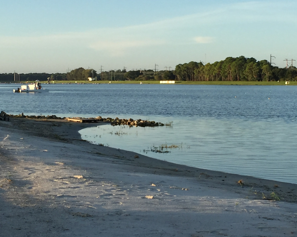 The word on the street was that many rowers, especially the Europeans, were worried about the potential hurricane threat, so most of those rowers attended the European Champs in Munich in July, 2018 instead of making it to Florida. So who are ‘WE’? 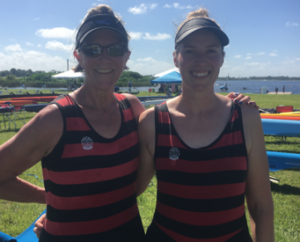 This year, New Zealand was represented by Martha and Caroline DeLong, a mother and daughter team from The Auckland Rowing Club. Yes, just the two of us, but hopefully ‘we done did ya proud’! Caroline, in her single scull, led from start to finish, holding off a challenge in the last 250m, to win a gold in the A1x, and old lady Martha joined a Masters International WE8+ which moved from fourth to first before running out of water to earn a gold also only to have ‘7-Seat’ pulled (rather spectacularly) from the boat for a drug test by the US Drug Enforcement Agency. However, due to the extreme heat, it took this poor 7-seater 2.5 hours to provide a statistically representative sample! 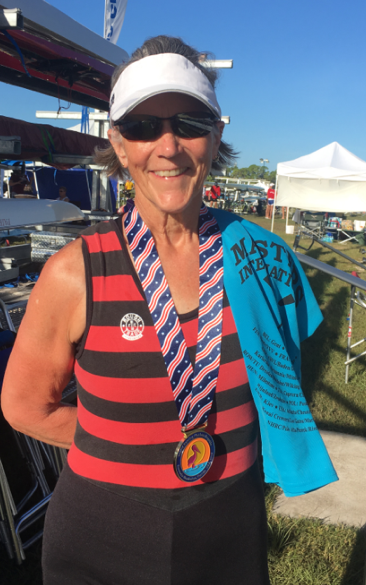 This World Masters event was the first for Caroline, having just made the ‘age grade’, while Mom Martha has attended several of these world events over the past few years (Varese, Munich, Hazewinkel, Copenhagen and Bled) with crews from London. In addition to our individual wins, Caroline and I raced a double together. Mom is not sure that Caroline will ever try that again as we had to row ‘C’ and after being late to the start and then a ‘quick start’ and with a winning boat time of 3:36, well, Caroline and I have some work to do! 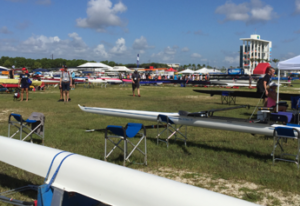 Two thousand and thirty (2030) rowers registered for this 2018 championship event with over half of these coming from the continental United States (1308). Forty nine (49) countries were represented, including many from South America (just drive north). We are sure that no one in NZ would be surprised to learn the CHINOOK took both the men’s and women’s points trophies (yes, Chinook of WMGs fame!). The event was very well run, and we take our ‘hats off’ to the organizers! It was a great experience. We look forward to Hungary! Thank you for your support to myself and the rest of the Juniors leading up to our World Championships! The 10 week campaign took a bit of a turn when I found out I had a stress fracture on within the 3rd week, But after lots of long sessions on the bike, and plenty of milk, I was eager to jump back into a reserve double with Kathryn Glen two days before we headed off to the Czech Republic. The boat seemed to have pretty good speed heading into our heats, which was lucky because it landed us with a win, allowing us to progress straight through to the semi-finals. We had little knowledge of what race plans worked best for us, and little time to experiment, however, in the semi we had a close race with Germany in some rough conditions and landed a second fastest time which was just 4 seconds off the world record. This was when ourselves and our coach finally thought that we could have a chance at a podium position, but also bearing in mind that the top four boats were all within 1 second of each other, so it was gonna be tough! The feeling after our A final when we secured a bronze was one of the most rewarding feelings. Kathryn and I are so great full for the abundance of support and hope that people had towards us through the short 2 weeks of training we had together and will remember it forever. The Junior World Championships was an incredible experience and one I am very grateful to have been apart of. 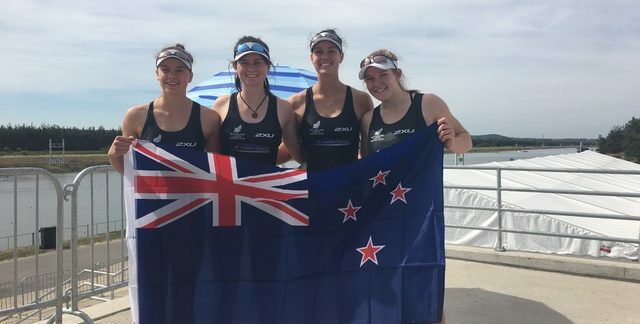 Representing New Zealand and wearing the black rowsuit was such an amazing feeling and I can only hope I have another opportunity to do so in the future. The racing was very tough, and some of my crews races were definitely better than others yet I was satisfied knowing I had given my all each time we were on the water. The course in Racice was awesome to race on, with very fast water and a lot of world best times being set over the regatta. It was awesome to see the rest of the New Zealand team achieving outstanding results as they all deserved it so much. Travelling was an experience in itself and we learnt a lot about the Czech Republic and their culture. On an afternoon off we got to go into Central Prague which was a lot of fun. I have gained so much from the whole Juniors campaign. 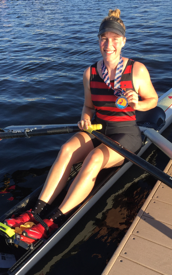 I have learnt so much about rowing and also myself as a person. The people I have shared this experience will remain life long friends, and I hope I have the opportunities to row with them again sometime in the near or far future. I have met so many amazing and inspirational people along the way. This would not have been possible without the support of people like you supporting us throughout our journey and for that I am very grateful. I just wanted to send you a little bit of a paragraph to let you know how my time went in the Czech republic and thank you once again for your sponsorship! My time in Prague started on the 31st of July, when we touched down after a very long, but thankfully uneventful flight. From here, we went straight to the hotel to check in and get changed for training that same afternoon. The bus ride out to the lake everyday was about 40 minutes but our buses were quite nice so it wasn’t bad. For the next week and a half we trained twice a day, just getting used to the atmosphere and our new boat. By the time the 8th rolled around and the Junior world champs started our squad was well adjusted and ready to attack the next 5 days of racing. Our first race was a quite a competitive one as we came up against Great Britain and America. Two powerhouses of rowing, but we were well prepared and it was good to get a feel of how competitive the field was. 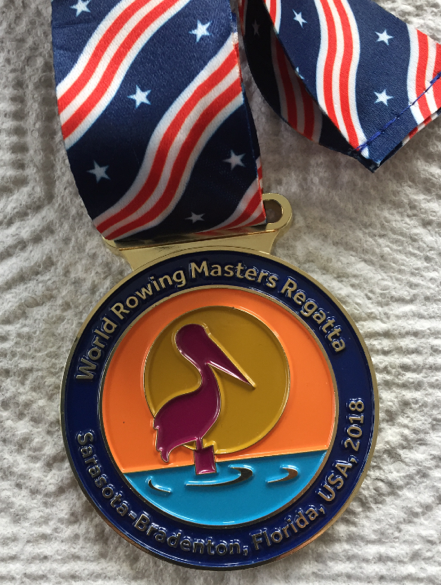 USA and Great Britain shot out early but we kept our composure and reeled USA back in by about the 1k to finish second behind Great Britain, who we always knew would be a class crew with 2 of their 4 returning champions from last year. Onto the Semi’s 2 days later where we were up against the home favourites Czech Republic. The semi’s were a big day because we knew that crews will do anything to make the A final and only 3 spots were available. As expected Czech republic flew out of the gates fast and it took us a little while to catch them but by about the 1500m mark we were even with them to take the win by just over half a length. Onto the A final and the nerves were starting to build up but our boys did well to hold them down. We learnt from our previous races and decided to give it a bit more at the start in an effort to keep a hold of the very starting Italian crew. This plan worked as we were still in touch with Italy and equal with Great Britain coming through the first 250. From here we executed our race plan perfectly putting us in a good position coming down to the last 500. In the last 500 we wound the rating up to pull away from Italy and finish 2nd place behind a very good Great Britain crew. From here, I plan to row for waikato RPC and hopefully try make the U23 squad next year before heading over to a university in the states to continue my studies. Once again I would like to thank you for your contribution because without it I would not have been able to have the experiences I have had.